Another new trend had begun. 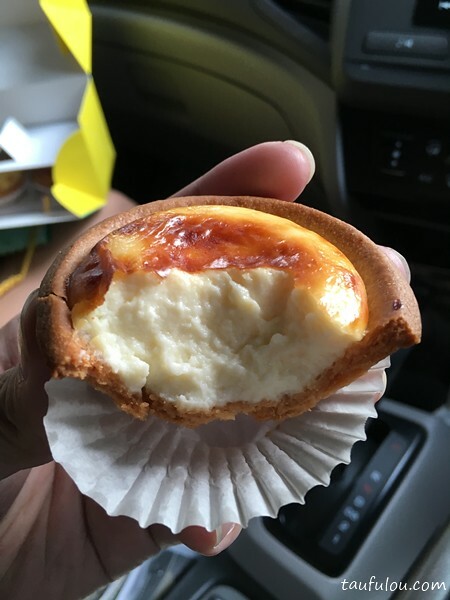 The latest hype on food is this Baked Cheese Tart, that my friend bought for me to try out during our met up at Pavilion. It seems like making waves after waves in social media. 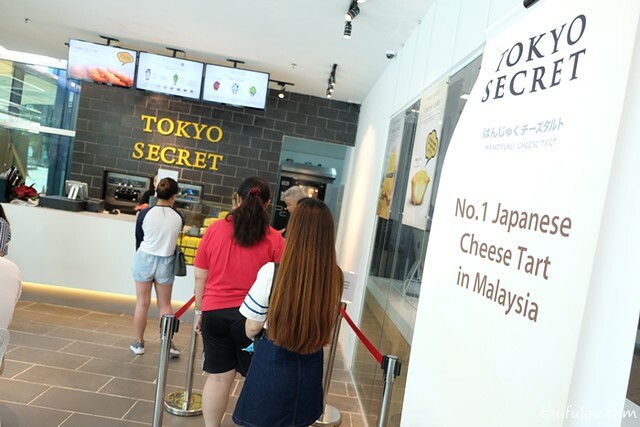 With both brand Tokyo Secret and Hokkaido Baked Cheese Tart launching about the same time, had gotten me very curious over both of them. 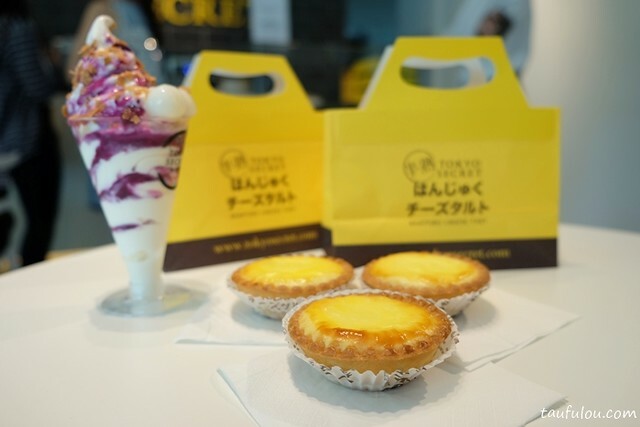 Lets start with Tokyo Secret, the Japanese Hanjuku Cheese Tart ( Half Baked Cheese Tart ) which is not originate from Japan but from Hong Kong has landed in Malaysia by opening their first outlet in Ikano Power Centre ( IPC ) Shopping Mall. 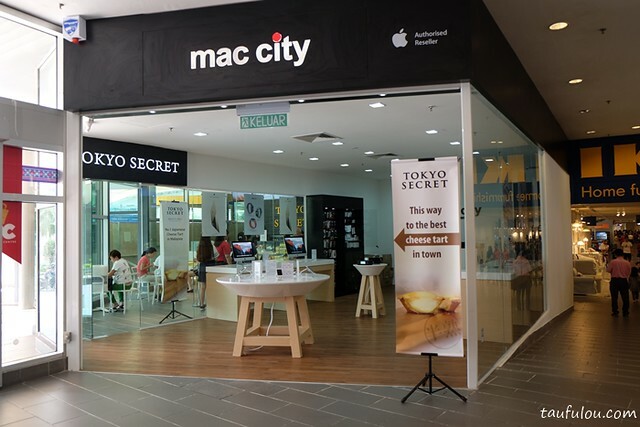 To look for this outlet, it is actually located inside Mac City and it is undeniable for you not to look for them as the aroma of the tart is capturing. 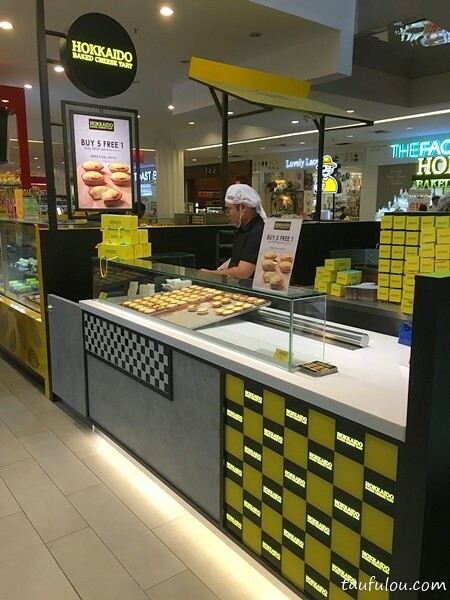 Upon entering the outlet, you will be greeted with those strong cream cheese smell in the baking, where it is quite similar to those strong smell when you walk pass by Famous Amos that constantly tempt you to buy their cookies. This had similar impact. Menu is pretty direct where they serve either Cheese Tart or their version of soft serve ice cream. Look at that pippin hot tart and their crust. Smell is awesome, when it is served hot. First bite on the crust gives you a very biscuit fragrance and hint of buttery vanilla. Then the cream cheese is so soft and fragrant yet you can taste it is pack with cheese flavour. Super creamy yet if you bite too big mouth, the cream cheese might ooze out from your mouth. I had two pieces of this and ended up to heavy. At RM 7.90 per piece, this is certainly an expensive tart. It may look pretty and with each additional toppings at RM 2, it is just not worth it. You can forget about the soft serve, as I had mine with the glutinous rice balls and their recommended sweet purple potato. Overall, it is worth to give it a try provided if you are willing for the queue as their service is very slow where I heard that, that is their style of serving. 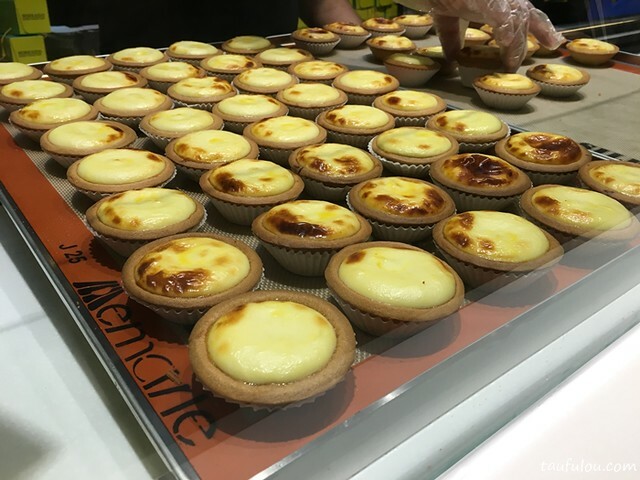 Next, I head to Hokkaido Baked Cheese Tart that appear on my feed that is located in in front of Serai, Empire Shopping Gallery, Subang. Under this umbrella, it seems that they are going pretty aggressively in both their outlet openings and also social media presence. Since I am on the way back, decided to drop by and check out what is the big buzz about it. We bought a box back where current promotion is buy 5 FREE 1 at RM 29 where to by individual tart, it cost RM 5.80 each. By Looking at both the colour and the crust, we knew that they are on the losing end. .Besides that, I love their box presentation that careful slid in 6 tarts at this double story customize box. 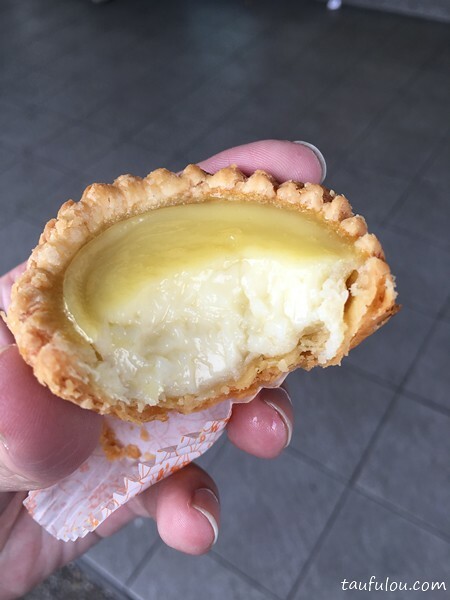 The crust is light in taste and not as fragrant as Tokyo Secret, quite hard on the edge crust where you bite, it comes out in long cracking pieces, the cream did not ooze out as seen in the picture, and compare to the one I had, it do seem a little slightly over baked. Lack of cheese taste and nothing to shout about. 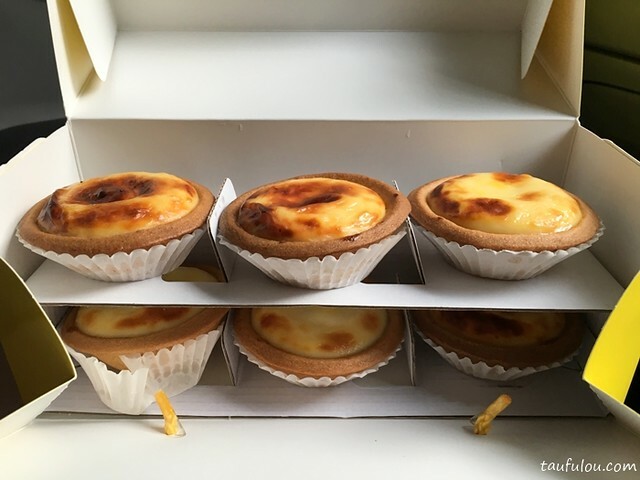 Expectation were built quite high and ended up I have to drive to SS15 to make another take away of normal egg tart, to kill of the tart cravings. Just an egg tart comparison where I would rather pay RM 1.90 over RM 5.80 which is over price for such tart. 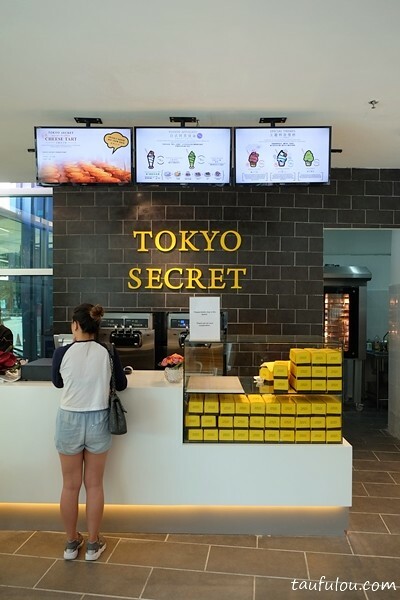 In both comparison, it is quite clear that Tokyo Secret is the one that stood out more with its perfect baked baked tarts and certainly knew that they use more premium ingredients where price difference only is RM2.10. Thanks for the heads up. amended on the pricing error. Sounds like a paid post by tokyo secret. 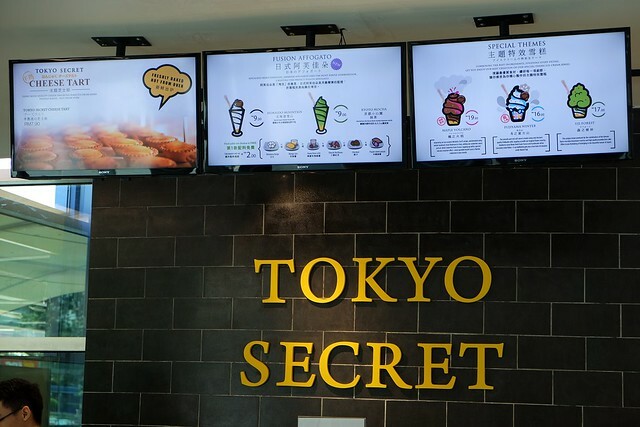 Lotsa description on tokyo secret but only a few sentence on hokkaido baked cheese tart. Moreover the price for hokkaido baked cheese tart is incorrect. Highly doubt the trustability of this blog. It’s almost 5pm and I can use one of those tarts now! wow, nice photos! tempting ar! Where is the tart you bought in SS15? 🙂 Can share location? 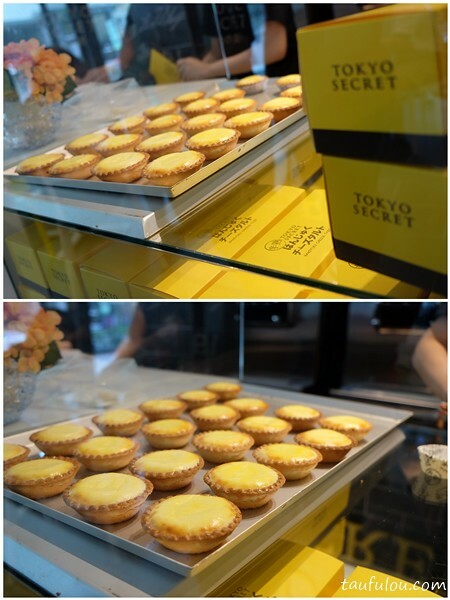 Tokyo Secret cheese tart is really nice but too exp. TK normal egg tart is one of the best so far. 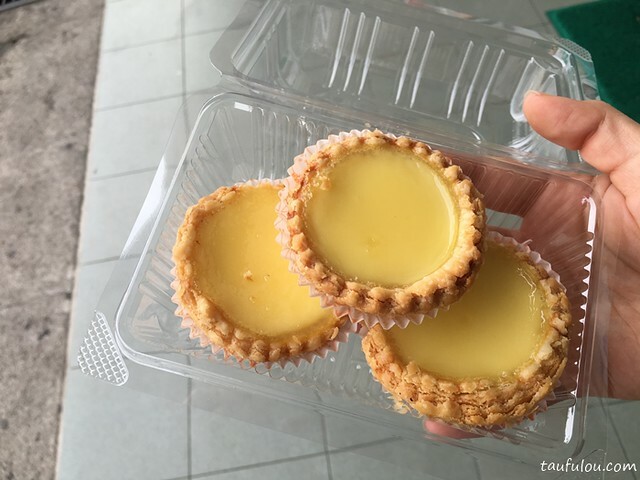 I bought 3 and Hokkaido Baked Cheese Tart’s charged me @ RM6 per tart. Nothing unique and I would rather go for my normal blueberry cheesetart with stronger cheese taste. agree but quite subjective as some of my friends love it. 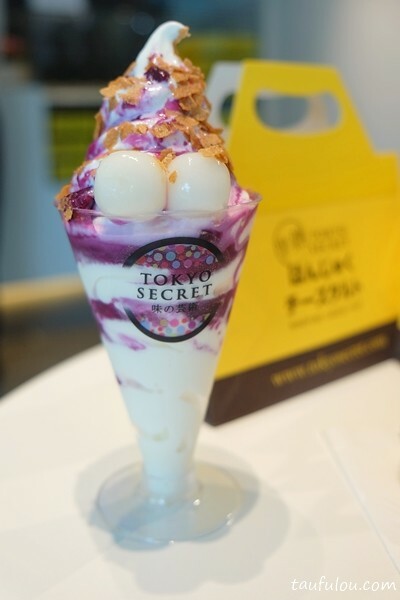 ..
Tokyo secret wins by appearance, taste too rich to eat more than 1. 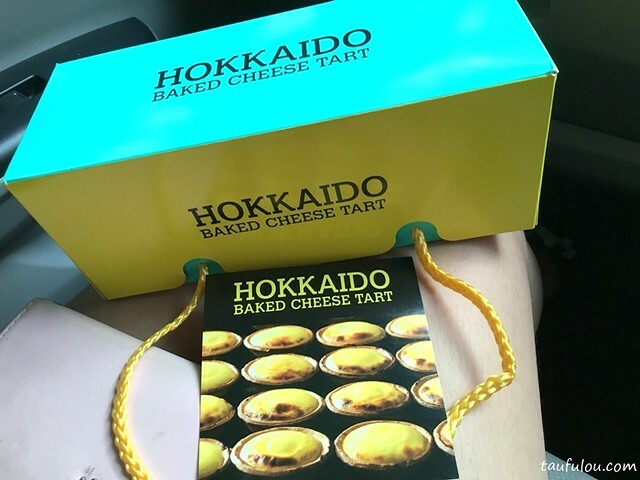 I prefer Hokkaido’s with a little sour cheese taste, it’s the nearest taste vs the one I had in Japan, I can eat 4 tarts at the same time! Hokkaido Baked Cheese Tart is definitely over priced. Furthermore, I went to the branch at Pavilion and ordered 6. At first I wanted 5 original and 1 chocolate. In the end, I changed my mind and asked for 4 ori and 2 chocolate. The guy said ‘No, you cannot change. We have already keyed in the machine!’ Both flavours are the same price, what the ….? I will not go back again. For shops that do not put customers first, I will surely think twice ! Tan, maybe you havent been around japan alot. But in most places they wont allow change, and there are no flexability to alot of things. not because they dont put customers first, but japan is a country known for obedience, so once you said something, youbwill have to stick to the end. to the local people it is very normal, and they would only blame themselves in that situation.